Kiwifruit. Had to blog about it! 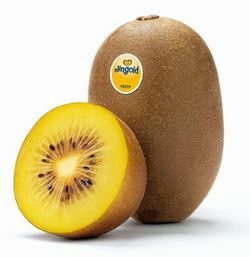 I had never had a yellow Kiwifruit (only the hairy green ones, which are also great) until this morning. It was so sweet and juicy. Not sour at all! Yum! Also didn’t realize that they contain Omega3-fatty acids! Even better! way cool sis! i never heard of yellow kiwi fruits until today. do you know where these come from and where they might be available stateside? hey! Yeah. Just got them from my friend, who I assume got the at the grocery store here in the southwest. I’m from SC/NC, and never seen them in the store there. Hope you can find some, wherever you are!